Product prices and availability are accurate as of 2019-04-11 11:34:58 EDT and are subject to change. Any price and availability information displayed on http://www.amazon.com/ at the time of purchase will apply to the purchase of this product. 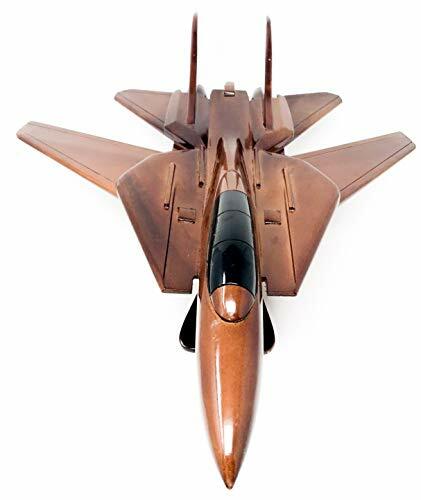 This F-14 Tomcat is a Beautifully handcrafted aircraft model made out of solid Mahogany wood. All hand made, hand etched, sanded, and polished to a high gloss finish to reveal the rich wood grains. 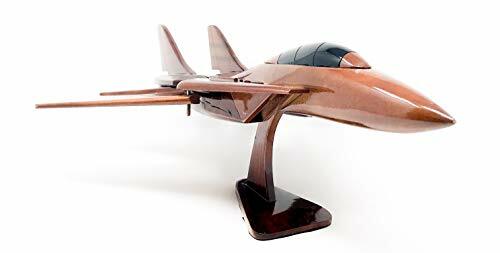 The F-14 Tomcat is an American supersonic, twin-engine, two-seat, variable-sweep wing fighter aircraft. The Tomcat was developed for the United States Navy. 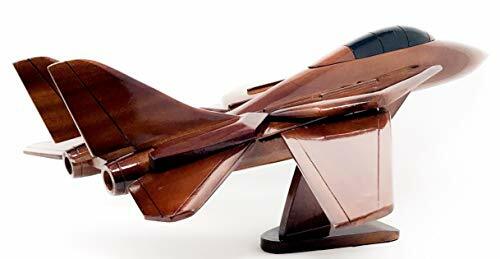 The F-14 was the first of the American teen-series fighters, which were designed for air combat against MiG fighters during the Vietnam War. Well known for role in Top Gun. 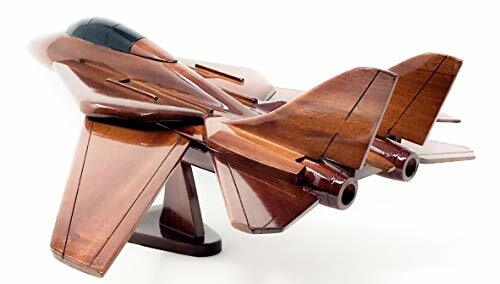 This model is a Quality piece of wood work for display in any setting. This can be the centerpiece of conversation at your next gathering, or a silent appreciation for any art lover.